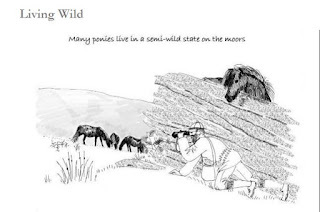 If you have ever had anything to do with native ponies, then buy this book. It is a joy from start to finish. The Fell Pony is not found as often as he should be in horsey literature, but this book of cartoons puts that right. It is devoted to the Fell Pony, pure and simple; its history, its character, its little ways. 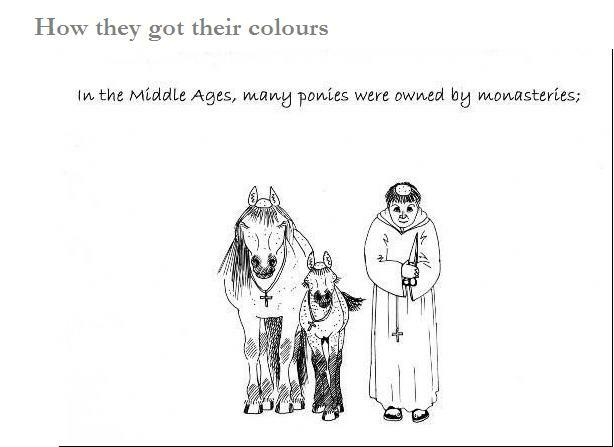 The author’s knowledge, and affection for, the Fell Pony, shine through. This book is a gem. I love it. I hope Blackjack gets one of these for Christmas if she doesn't already have one. I bet she'd be seeing Jack in almost every cartoon. Thanks, Jane. It'll definitely be on my Christmas list. Perhaps Sue should do a similar one for Exmoors!